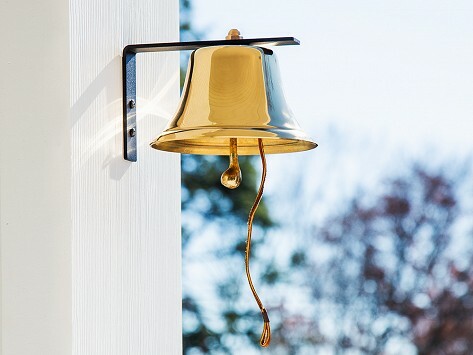 This brass patio wall bell rings loud and clear—and it rings with authenticity, too. Hang one to add personality, nostalgic charm, and a bit of history to your space. Crafted by renowned bell makers who have been creating their signature brass bells since 1832. Made in the USA and guaranteed to last a lifetime.